New York City is known for its convenience - you can have almost anything delivered to your door in under an hour. From flowers to every type of cuisine under the sun - it’s all at our fingertips. But what about your bar cart? Now that is sorted as well. 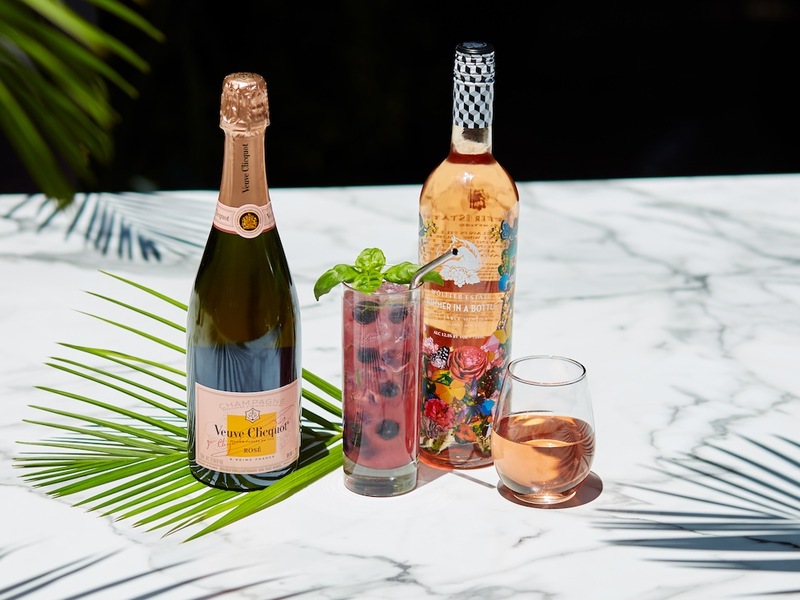 Dreamt up by co-founding duo Lindsey Andrews and Lara Crystal, Minibar Delivery is giving users a better way to shop, connecting people with local liquor stores, vineyards and even bartenders to offer the best selection of products and a personalized experience. It is now the leading marketplace for the shipment and on-demand delivery of wine, beer, liquor, mixers and more. The super smart company was only founded in 2014 but has quickly grown from a local on-demand delivery service in 40+ markets to an online alcohol marketplace for millions of customers of legal age across the United States. Lindsay and Lara first met at Wharton in 2007, but the idea came to them over their weekly Takeout Tuesdays. The pair realized they could order any type of food from anywhere in the world, delivered right to their doors, but when it came to alcohol, they had to wander the aisles of local liquor stores and carry heavy bottles up the stairs to their apartments. Also, if they ran out - they'd have to go back to the store and repeat the entire process. The process was outdated and hadn’t changed in the past 75 years. They realized that no one had successfully brought the alcohol industry online, despite almost every other industry moving into e-commerce. With that, the idea of Minibar Delivery was born. Luckily both women had incredible experience they could apply to their new enterprise. Lara Crystal previously was a founding member at Rent the Runway, an e-commerce business that rents luxury clothing and accessories to women, where she served as the Vice President of Marketing. Lindsey Andrews, meanwhile, spent her career in consumer products at Fresh Direct and Soap.com; she most recently helped launch Wag.com and built it into a leading pet e-commerce business. Together they had the passion and business acumen to build Minibar Delivery into the powerhouse it is today. Next time you’re prepping for a party, make your life easier and have all your beverage needs delivered to your door!